a comma-shaped bacillus, which he called vibrio. however, his guinea pigs were immune to it. to formulate rules for the control of cholera epidemics. from the Ganges delta throughout Asia. sixty-five-hundred thirty-six died in London. to the Pacific coast and Mexico. twenty-three thousand died in England. and thirty-five hundred died in Chicago. vibrio cholerae as the cause of the disease. and had the handle of the pump removed. fifty thousand died in North America. and fifty thousand died in the Americas. 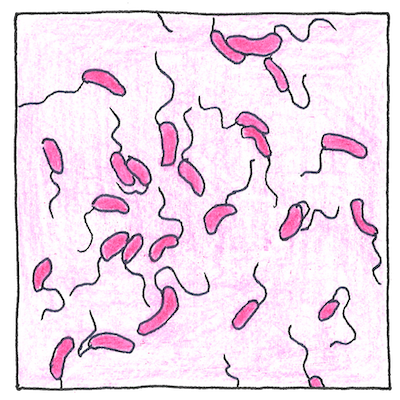 how vibrio cholerae caused the disease. five-hundred thousand died in Russia. India, the Soviet Union, North Africa, and Italy. Over five-hundred-seventy thousand died worldwide. is not the villain of this story. to steal a family’s fortune. in only basic mammalian ways. depends only on trial and error. In Italy, people blamed the Jews and gypsies for bringing cholera; in Tunisia, people blamed Europeans; in the United States, people blamed the Southern blacks. In any place and any time, blame coexists with ignorance. Cholera causes fifty-eight thousand to one-hundred-thirty thousand deaths a year as of 2010.